Close your eyes and imagine your stay in Livermore Wine Country. What did you see? Yourself sipping on a glass of wine while relaxing at the spa, or gazing at expansive vineyards and beautiful landscape? Whatever your needs, Livermore has something for you. Sycamore Grove Park in Livermore is perfect for those of all skill levels who seek outdoor exploration like biking and hiking. Our resort has the best of both worlds with an on-site, state-of-the-art spa and less than 15-minute drive from the park. For a well-rounded getaway in Livermore Wine Country, request our free Vacation Guide! Whether you plan on hiking or cycling through Sycamore Grove Park’s 847-acres, wearing the right gear is essential to having an enjoyable experience. Take a trip to Stoneridge Shopping Center to shop for your outdoor exploration. Here you’ll find a Footlocker, GNC, and more to help you prepare! Hiking or Biking: Which Will You Choose? This park’s versatility sets it apart from others because it has several trails that accommodate a wide range of skill levels and outdoor recreation activities. 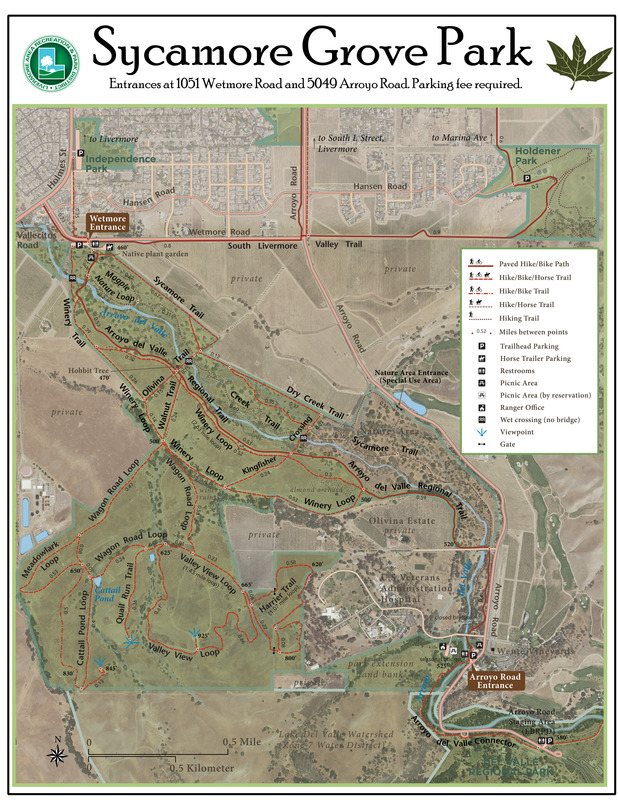 Two of the most common for Livermore visitors are hiking and biking. Outdoor recreation is all personal preference, so you can’t go wrong with whatever you choose. Hikers should keep in mind that this park made the list of the best places to hike in Livermore! Hike here for terrain that goes from paved to rocky and to see the non-threatening wildlife that inhabits this area. Exploring this area on foot allows for a relaxing, cathartic experience as you gaze in awe at the surrounding natural beauty. Cycle through the park for a more fast-paced experience. Gliding along the path and through the woods is a great way to get your heart rate up while also taking in the picturesque surroundings. You don’t have to bring your bike from home to have the experience, either! Easily rent one from Livermore Cyclery. Check out these other great places to bike in Livermore if Sycamore Grove Park leaves you wanting more! Bring water! Your body uses a lot of fuel doing these activities and staying hydrated is the No. 1 key to not feeling weak or fatigued during your hike or bike ride. Keep a map on you! Even if you have a good sense of direction, being in an unfamiliar area can be disorienting at times. Be sure to keep a map on you, and maybe even a buddy, to make sure you stay on track. Our Wine Country Resort and Spa is the perfect place to rest your muscles after a day of outdoor exploration at Sycamore Grove Park in Livermore. Hop in your car, make the 15-minute commute back to our resort, and relax in any of our luxurious accommodations or take advantage of our full-service spa. For optimal relaxation, stay in our Double Eagle King Room after indulging in the Sports Massage at our spa. This room has a private patio, a cozy fireplace, and a Jacuzzi tub that is sure to relax your muscles. See all of our accommodations for yourself and begin booking your trip today!